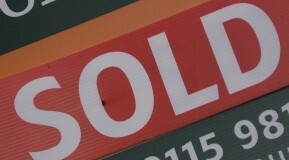 According to the Office for National Statistics house prices saw a jump in the month of March this year. The average price jumped to £292,000, a rise of £8,000 on February and this £8,000 rise is the largest rise since recession hit the UK. UK house prices are up 9%, higher than the 7.6% in February. A year ago, a typical UK property sat at £273,000 and with no indication of an imminent interest rate rise now is the time to look at fixing your mortgage. Why not have a look at our mortgages page to get an understanding about the right type of mortgage for you.